New listing tucked privately among mature aspens & pristine pines while also capturing dramatic ski area views, on a low-traffic cul de sac. 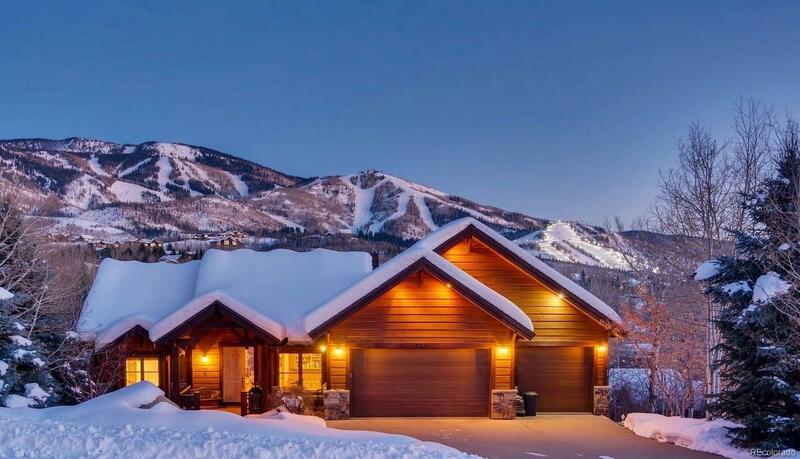 This wonderful 5 BD home is less than 1 mile to beautiful Downtown Steamboat, trails, and schools. The stair-free main floor is open and flowing with floor to ceiling windows, stone fireplace, vaulted ceilings, refinished hardwood floors, dining room, home office, spacious master bedroom/bath and a classy kitchen designed to share great meals. Exceptionally oversized outdoor deck to enjoy and extend the seasons. The lower level offers 4 private guest rooms (2 have ensuite baths), an incredible home theater room, game room/exercise room, and walk out lower deck with naturally treated hot tub and beautifully treed yard. Massive three car garage with workshop and water hookups. Easy winter living thanks to the heated driveway and front walk - no more shoveling! Sound HOA with no annual dues.